How to Heal Your Inner Child - 3 Simple Ways! If you like this video… Be sure to subscribe for free on my YouTube channel here! Healing your inner child may seem insignificant or irrelevant, but really it makes a big difference in how you experience life in a level of joy and love you’re able to experience in the present, and also how willing you are to follow your dreams and make positive change happen in your reality. So, what is your inner child? Your inner child is the part of you that is childlike, filled with imagination, wonder, purity and innocence. Let’s take a step back real quick. You’re a multi-dimensional being. The truth is you experience your physical life now in linear time in the present moment, you see things that have happened in the past and you predict or anticipate or maybe even worry about what’s going to happen in the future. But from the higher angelic realms, from the realms of spirit, past, present and future are all simultaneously interwoven. The implications of you being a multidimensional being, is that your past childhood experiences are still energetically playing a role in what you now experience in the present. So, painful childhood experiences, and even if you have the most loving parents and the most joyful, blissful childhood, and you were perfectly parented, I guarantee there are still painful memories from being a child. Before you were born into the physical, you were a fully spiritual being. You were fully connected to the oneness of the Divine… And then you were born into the physical, into duality, and into pain. Childhood was tough. You were trying to navigate your childhood, trying to be loved, to get loved from your parents, to survive. And a lot of these traumas from childhood, feeling unloved or getting yelled at or falling and scraping your knee are still energetically stored in your body in the present. And so, that old fear, that old insecurity, that old feeling of wanting to be loved can resurface in the present. Therefore, it’s so powerful to do inner child healing, to heal the past wounds of your inner child, so that what rises to the surface in the present moment are the childlike qualities of imagination and intuition and joy and laughter and playfulness. Healing your inner child allows your inner child’s light, strengths, energy, and joy to rise to the surface in your life. So, how do you heal your inner child? How do you let go of those layers of pain? For some people who had incredibly tragic childhoods, inner child work is even more important. But really, for everyone, healing your inner child is so powerful. The best thing you can do to heal your inner child, is to quite simply, love yourself. Love yourself fully, and love what arises in you. Pay attention to how you’re treating yourself in the present. Are you treating yourself like an unruly little child? Are you internally yelling at yourself and judging yourself for making mistakes? How can you shift that? How can you be more loving? When you’re afraid, love the part of you that is afraid. When you’re angry, let it be okay that you’re angry. Honor that inner child part of you that’s angry, that feels stifled, feels attacked, or judged, or unloved and be the one to love yourself through it. So, love is first and foremost the key. In addition, let your childlike sense of wonder rise to the surface. Let yourself be playful and silly. So many people take life so seriously. Why not let yourself draw with sidewalk talk or skip through the forest or do cartwheels or spin around in circles or just laugh or color or play? These are ways that you can honor your inner child, nurture your childlike joy. This playfulness, this lovingness, this joy brings you into greater alignment with the angelic realm, brings you into a positive point of attraction, so that you in joy and love are sending that signal of joy and love out to the universe and drawing more joy and love back in return. In addition, forgiveness is incredibly powerful. Can you forgive yourself for mistakes you made when you’re a childhood, an early adult, even recent mistakes you’ve made? Can you forgive your parents for the mistakes they made in parenting you? Can you just for a moment see that if you were mistreated, if you were treated with judgment, even if you were abused, that this is not a reflection of you, this is a reflection of the person doing the hurting, that they in some deep level are really just reaching out to be loved or that they felt so unloved that all they knew to pass on was that same lack of love? Forgiveness of yourself and forgiveness of others lightens the weight of childhood burdens, and lightens the weight of past pain. All of this allows you to bring greater love into your present. And when you’re in a vibrational state of love, you’re positively magnetizing blessings and positive experiences into your life. You become more in touch with who you really are, authentically free from the judgment that may have been shown to you, that you may now repeat towards yourself. So often, if you had a friend or a family member who judged you as a child, that’s the voice you’ll hear as an adult saying, “No, you can’t. No, you’re not good enough. Just go sit in the corner. No, we don’t want you here.” That judgment repeats. And so, forgive yourself for the past circumstances you encountered, forgive the other person, love the part of you that just wants to be loved. And if you need a little boost, call on your angels to help in releasing past pain, in releasing childhood hurts, and fully bringing your energy and your awareness into the present moment where you can fully embrace love and tune in to all the blessings of life that are yet to be in store. So much goodness awaits you. Look at life through lenses of love, let your childlike wonder rise to the surface, let your joy shine through, and know that exactly as you are, you are beautiful, unique, and your light is needed in the world. Let it shine, let yourself love, love what appears, and keep going because you are beautiful and your angels are helping you each step of the way. 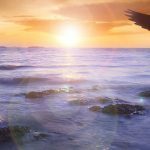 If you want more help healing your inner child, check out my newest session with Archangel Metatron that has some powerful inner child healing that will help you to tap into the strength of your inner child and the gifts in you that are ready to come more to the surface. 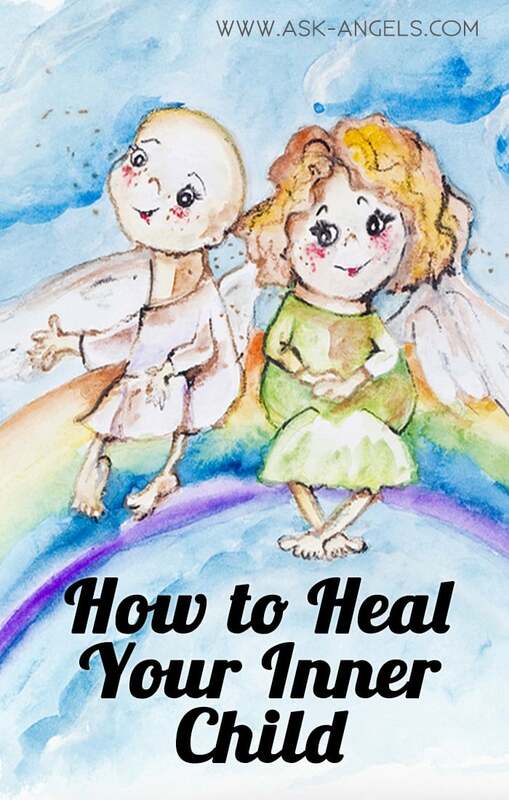 Click Here to Access Healing the Child Within with Archangel Metatron. Okay, that’s all for now. I’ll see you soon. 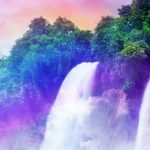 Invoking a Waterfall of Light to Cleanse Your Energy! Thank you for your help with my inner child. You are right, my inner child is very important and also special. I am so greatful to have you in my life Melanie, over weekends I just sit and think of of these beautiful, fulfilling messages that you send from your heart.